on my Ravenlore web site. Unless noted otherwise, all photography, artwork and content on this site is copyrighted. © Gary Waidson 2014 All rights reserved. 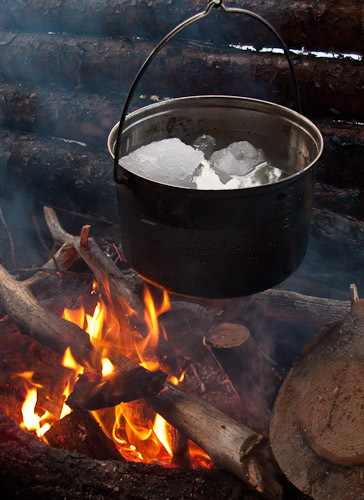 The Ice Raven Project promotes sustainable and low impact bushcraft and wilderness skills in Arctic and winter conditions. This includes the use of tents, tarps and snow shelters where possible. Fires are only used where safe and where use and collection of firewood will not damage the natural environment. We often travel to locations by public transport and then use snowshoes, sleds, toboggans and pulks to transport our equipment into the wilderness.